My passion is working with commercial properties as well as business entities and assisting businesses to help their staff find the right homes. When you are ready to start your journey towards achieving your dreams, contact me! I am a customer driven agent dedicated to achieving results and providing exceptional service. If you are in the market to buy or sell a home, I will consider it an honor and a privilege to put my 9 years of real estate experience and expertise to work for you. Helping you realize and achieve your dreams of home ownership is a passion of mine, whether you are new to the area or a long time resident I am here to help. Whether you are Buying or Selling a home it's easy to get your lines crossed in a Real Estate deal. That's why it is vital to have an expert working for you. If you are planning a move in the future, call me. I have been a Realtor in Hernando County for over 13 years. Let my local area knowledge and Real Estate experience do the work for you! Today's housing market revolves around modern technology, and as your agent, you get the advantage of my skills when it comes to modern technology. I am a marketing specialist that will work tirelessly and thoroughly to ensure your property is in front of as many eyes as possible as fast as possible. 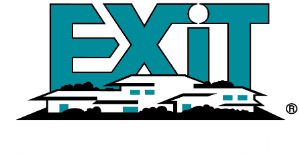 As an agent with EXIT V.I.P., I have unrivaled support from the best in the business which greatly benefits all of my clients. I cannot wait to work for you! Nicole prides herself in her work and her family; when Nicole is not assisting clients, she enjoys spending time with her 3 beautiful children and wonderful husband. As your BROKER/ASSOCIATE, I will go the extra mile in helping you purchase a new home or sell your existing home.